Donated by: John Walker, Western Australia. 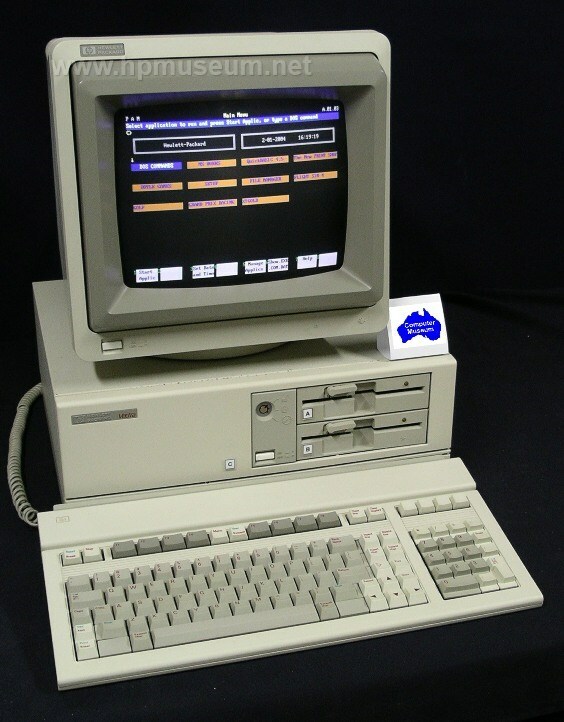 The original Vectra was HP's first IBM-compatible PC. It came with an Intel 80286 CPU running at 8 MHz. 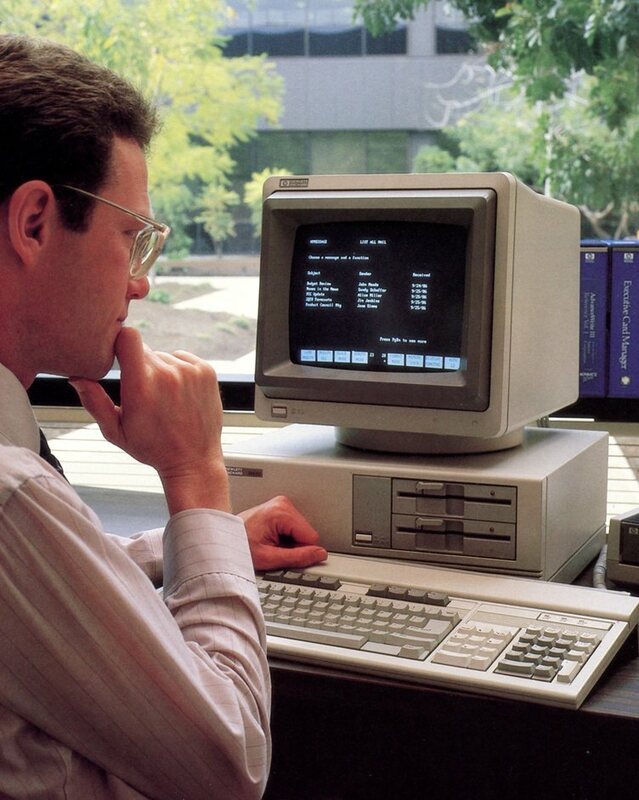 The base model offered 256KB RAM, expandable to 3.64MB and came with seven expansion slots. The keyboard and mouse were connected via an HP-HIL interface. The original Vectra came with one or two 5.25 inch floppy drives and either a 20 MB or 40 MB hard disc. Click here to hear a 90 second clip from the 1985 Vectra introduction audio tape (855 Kb). The original Vectras are still fairly reliable. It is farily common (70%) for a hard disc to not work and sometimes a floppy drive won't work (20%). But, the power supplies, motherboards and keyboards are holding up very well. As of 2013, all five or so units we have at the museum can be booted from a floppy drive.